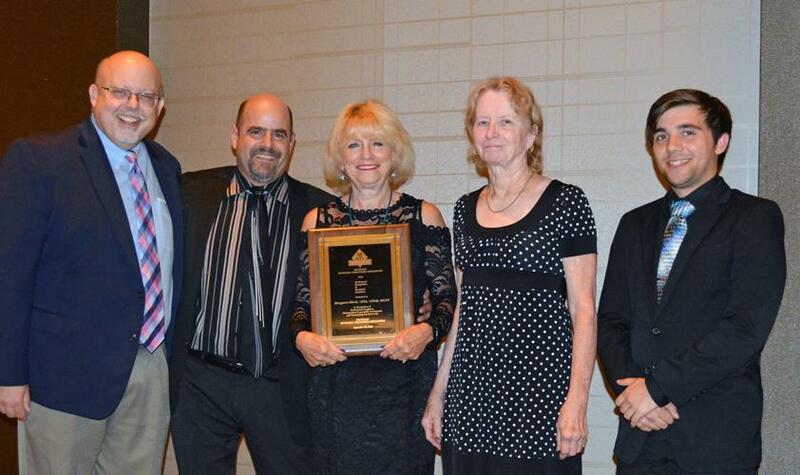 Margaret Birch, Waterford Township Treasurer, was awarded the Michigan Municipal Treasurers Association (MMTA) most prestigious honor, the Professional Recognition In Municipal Excellence (PRIME) Award. Margaret received the award at the MMTA 40th Annual Fall Conference held at the DoubleTree Riverfront Downtown Bay City in mid-Michigan on September 25, 2018. The PRIME Award annually recognizes an individual member for outstanding service to his or her profession, community, and the Association. The recipient is selected by their peers within the MMTA. Margaret was elected Treasurer of Waterford Township in 2006, a community of now approximately 73,000 residents. As Treasurer, she is also responsible for payroll and benefits, administrator of two defined benefit pension plans, a Retiree Health Care Trust, a defined contribution plan and a member of the Board of Trustees. Margaret earned the designation of CPFIM in 2010, and her CPFA was originally awarded in 2011 and renewed in 2016. She earned her MiCPT in 2014. She also wrote and had the Township’s investment policy certified in 2008. Margaret is a past board member of the Association of Public Treasurers of the United States & Canada (APT US&C) and has organized many welcome receptions for the Association at its annual conference; she earned a Service Award from the APT US&C in 2015. Margaret has served on the MMTA board of directors for years, and is the current President. Margaret is on the Board of Directors for the Waterford Area Chamber of Commerce, an organization of almost 600 members. She is a strong believer in collaboration and works closely with the Township, Chamber, and the Waterford School District. Margaret is involved with the Waterford Senior Center, the CAI Golden Age Club, Waterford Historical Society, Waterford Youth Assistance, and Relay for Life. Margaret is also a member of the Waterford Beautification Committee and works with others to enhance her community. Margaret’s passion is water-skiing the slalom course. She competes on a local, regional, and national level. She lives with her husband, Paul, who supports her in everything she does. Margaret and Paul enjoy dancing, and began taking lessons almost four years ago, which allows them to do something they both enjoy together. Margaret believes that MMTA provides not only education, but support and camaraderie which exceed any organization she has ever belonged to.